Before I take you through towards the main topic about How OpKey Integrates with ALM Tool ?, it would be fair enough to give a brief about ALM & what actually is the meaning of Application Lifecycle Management? 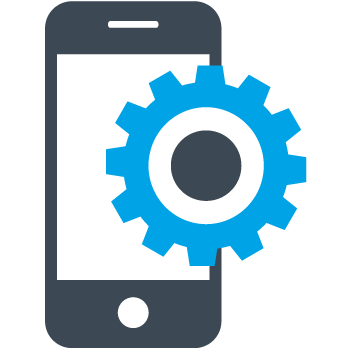 Abbreviated as ALM, Application Lifecycle Management refers to the capability to integrate, coordinate and manage the different phases of the software delivery process. From development to deployment, ALM is a set of pre-defined process and tools that include definition, design, development, testing, deployment and management. Throughout the ALM process, each of these steps is closely monitored and controlled. - Some most popular ALM Tools are QC and JIRA. - We are going to take QC for the integration, as an example. OpKey integration with ALM Tool QC will increase the speed and quality of delivery through improved automation and enabling of better organizational visibility and collaboration. Why do we need integration of ALM Tool QC with OpKey? In QC, we have test labs in which test plans are created. These test plans are like a manual which specifies the steps to be followed to test any product. So to execute these test plans, either a person is needed to execute them manually or we have to attach a script with that test plan to execute it. Ex. QTP. 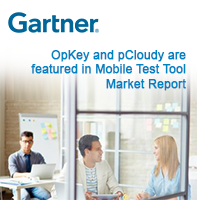 In OpKey, Test plans integrate with Business flows from getting end to end coverage report. - Planning and tracking defects which appear during manual execution and automated execution become feasible and easier. Note: We need to install TDConnect first on the system to connect with QC. 1. In OpKey, we have an External Tool Management in Admin Menu from where we will provide the settings for connecting OpKey with QC after clicking on settings icon. Connection Timeout: maximum amount of time for which OpKey will try to connect with QC. 3. Now, Test connection and save the settings. 4. Select the category of test management for a QC Extension with OpKey. 5. Then save your settings. 1. Click on the Map business flow button for mapping that BF with test plans of QC. 2. Provide the QC folder path whose test plan is required to map and press ok.
3. The QC tree will appear, then select the test plan and press ok for mapping. 4. It will fetch the QC properties of that test plan in OpKey, which can be viewed in a dock panel in that BF. After executing the Business Flow Suite which is created corresponding to a test plan will provide an end to end coverage report. Using this report we can plan and track the defects of test plans easily. And also it increases the visibility and collaboration.